 For the final day of the competition, teams return to the where it all started. After eight days and 2,350 km, the 2018 BMW Motorrad International GS Trophy has reached its conclusion back where it began, at Camp Chinisiin Khuree near Ulaanbaatar. And it’s Team South Africa for the second time (having won the 2016 edition in Southeast Asia) who are the champions, having confidently protected the lead they brought into the final day. Day 8 could have been something of an epilogue, but instead was yet another testing day. 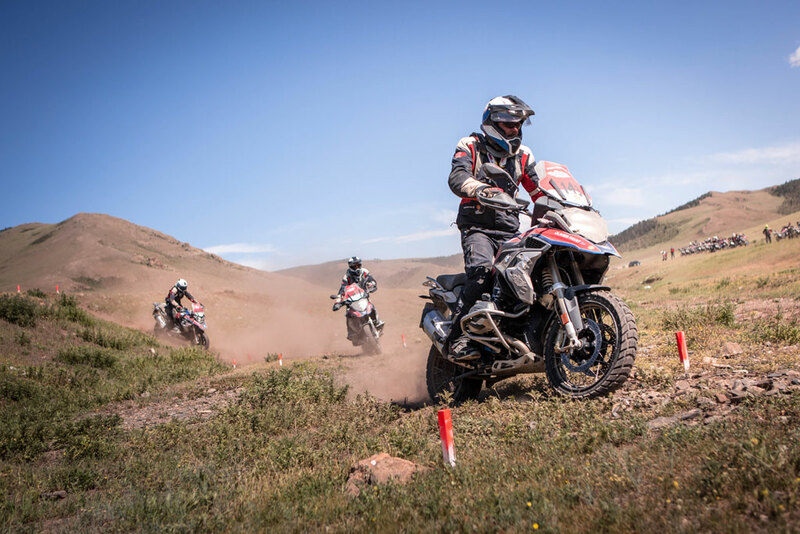 It started early, too, with breakfast at 5.30 am to ensure the teams were away promptly at 7 am with nearly 300 km ahead of them, much of it on gravel trails with occasional sand sections. Technical conditions as ever, evidenced by a few falls, showing the ride is never over until the destination is reached. Once at Chingisiin Khuree the GS riders faced the final hurdle, the ‘MonsterTrial.’ Here all three team members entered the extended challenge together and riding against the clock rode over various banks, ditches and along a driedup river bed before taking on three sub-sections which further tested their bike handling skills. These included a full-lock maze section and a GS Trophy favorite, the ‘elephant turn’ (maybe a camel turn given this is Mongolia!) 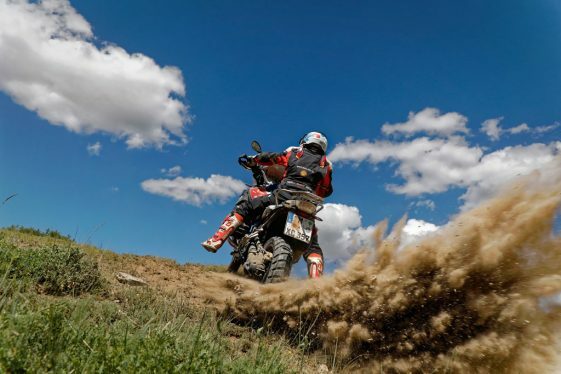 where the riders have to spin turn their GS a full 180º. With a 43 point advantage going into this test, for Team South Africa the win was theirs to lose, albeit with triple points available they could still be beaten. But being such a well-drilled team, this wasn’t going to happen. 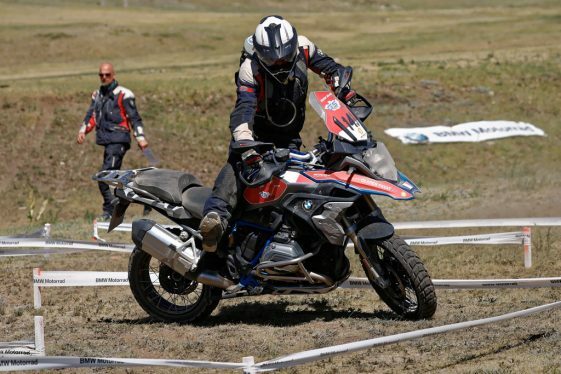 And true to form they put in an excellent performance, fast, slick and accurate – and calculated, each rider forfeiting two points in the maze when they dabbed (put their foot down) to ensure safe spin turns. It was a performance worthy of champions, albeit they were beaten by Team France who blazed to their second day win. Team USA won 2nd place by only two points over Team France, who came from behind with several epic runs. Team South Africa—who took the gold—were remarkable riders and by every measure deserved the 1st place title. 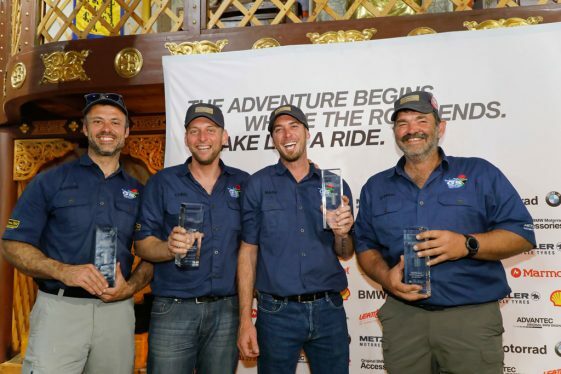 So while Team South Africa again took the winners’ trophies, and Teams USA and France the runners-ups’ trophies none of the GS riders left empty handed as each rider was given the radiator covers from their GS to take home. No ordinary covers, these had been 3D printed in aluminium and machined with their rider number and name integrated into the design. A memento to remind them of eight exciting days in the wilds of Mongolia, an amazing country, on the incomparable GS. 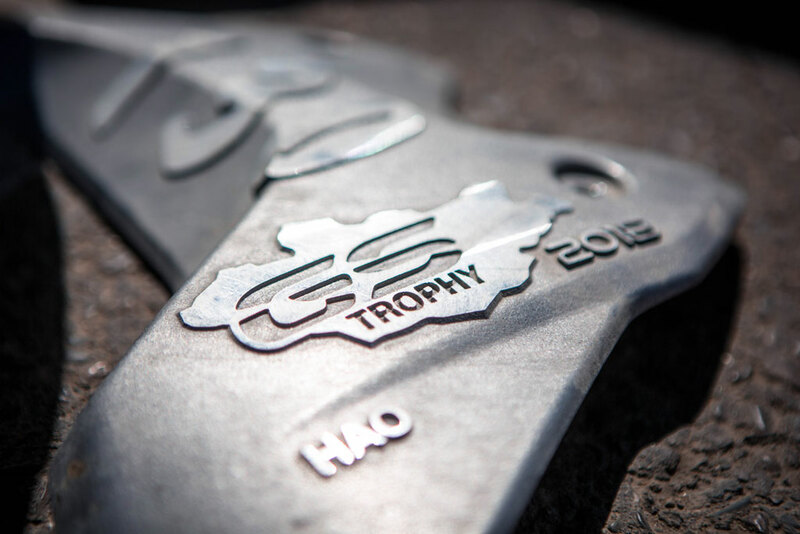 Check out the GS Trophy Day 7 Recap. Special thanks to BMW MOA’s Shawn Thomas for providing updates on Team USA!